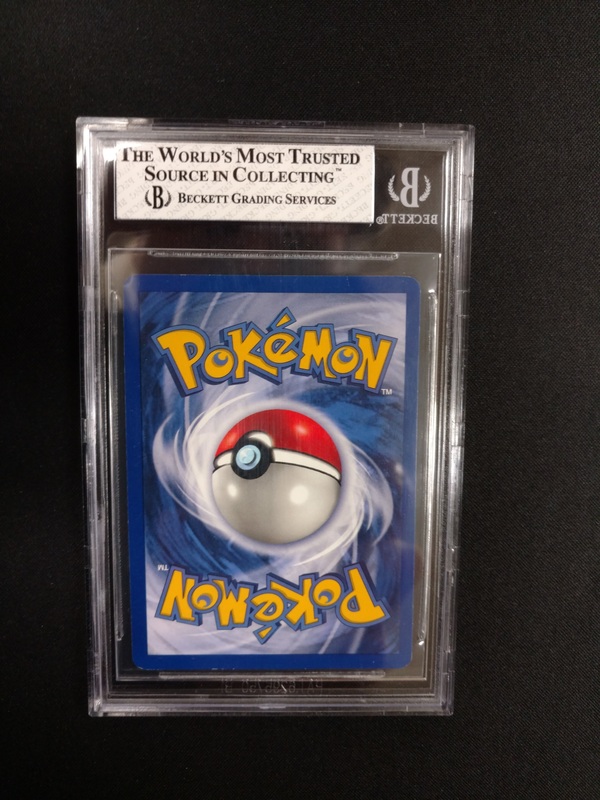 This card has been professionally graded by Beckett Grading Services (BGS) and sealed inside of a protective plastic case commonly called a “Slab”. A “grade” is a numerical value that a paid expert assigns to a collectible trading card after it has been thoroughly examined from every angle and determined that it is original and unaltered. The BGS grade number corresponds to the quality of the card's condition. 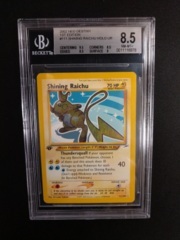 Cards are graded from 1 to 10, with descending increments of one-half points. Cards also receive grades for four subgrade categories: Centering, Corners, Edges, Surface. These subgrades help to determine the final overall BGS grade of a card. 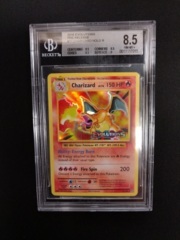 The higher the grade the more perfect condition the card is in. The grade of 10 (called "Pristine") being the highest, and a grade of 10 with all four subgrades also being 10 is the absolute most perfect possible. 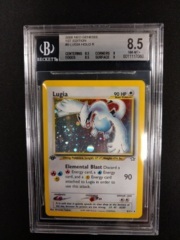 Very few cards are given a perfect grade of 10, there may only be a handful of cards of any given card graded 10 in the entire world. 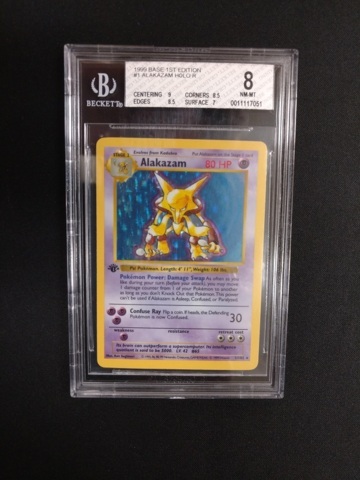 A card graded 10 with all four subgrades also being 10 is known as "BGS Black Label Pristine" and is a true rarity, if not one-of-a-kind to ever exist. 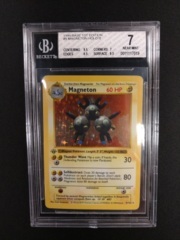 Cards graded 10, even if they are not “BGS Black Label Pristine” are considered by many to be the pinnacle of collecting and are highly sought after by serious collectors world-wide. They are often worth, as well as sell for, staggering amounts of money.